We know all too well that the human brain is prone to exaggerating differences between groups of people. In other words, we naturally have a tendency to stereotype or oversimplify social groups or geographic regions. I must confess that I have fallen victim to this myself. Although I was exposed to diverse people and cultures from a young age — I was raised by American-European parents and lived in both the United States and North Africa — I did not fully appreciate the diversity of Asia until I moved here. Living in Asia has opened my eyes to a multiplicity of differences that I couldn’t have imagined from the West. On this massive continent, which stretches 17,212,000 square miles and is home to 4.5 billion people, diversity exists with respect to almost every aspect of life, from economic development to climate and terrain to cultural norms and practices. Diversity also exists with respect to gender balance, including how women in Asia experience the working world. Social norms for professional women vary widely across countries, and the challenges and opportunities that women leaders face are also diverse and complex. In fact, some Asian countries are progressive in ways that may surprise many people from the West. Thus, I encourage everyone to recognise the diversity of experiences among women in Asia. In an effort to dispel stereotypes, let’s examine the realities for Asian women in different professional settings. To be clear, on average, gender inequality is greater in Asia than in Europe or North America. My related research suggests that young Chinese women in Hong Kong are more accepting of gender inequality than are young American women of similar profiles. Further, the distressingly high rate of female infanticide in Asian countries such as China and India sends a strong signal about how the female gender is devalued in these societies. However, in many parts of Asia, women who aspire to become business leaders are set up for success. According to the Financial Times, the top MBA programme in the world for women is in China—Shanghai Jiao Tong University: Antai. Chinese women are well represented in competitive business schools. In fact, more than 50% of people in China who score above 650 on the GMAT are women; by comparison, in France, women comprise less than 25% of national high scorers. Furthermore, in Asia, the ratio of women participating in government and the labour force is nearly equivalent to — if not higher than — the ratios in Europe and the United States. In the Asia-Pacific region, the representation of women in parliament is 19.6%, which is comfortably on par with Europe (19.0%) and the United States (19.5%). Additionally, the ratio of women participating in the labour force relative to men is 78.6%, which is close to the ratio in the United States (81.9%) and greater than the ratio in Europe (64.4%). These statistics begin to highlight the complexities of the situation for women in Asia. Some challenges parallel the Western world, and some are region-specific. But the professional opportunities for women in Asia, Europe, and the United States are not as different as stereotypes might suggest. In many Asian countries, women are severely underrepresented on boards and in the C-suite. However, these statistics do not reflect progress and achievement where they exist. In 2017, for example, Malaysian leaders set a goal of having 30% female representation on the boards of publicly listed companies by 2020. The top 100 firms have already reached 19.1%, and the government has reached 35.4%. Also in 2017, nearly one-quarter of the women featured on Forbes’ list of The World’s 100 Most Powerful Women were from Asia (22 total). This does not mean that the path to leadership is easy for Asian women. Issues borne of intersectionality and compounded by the region’s history of colonisation temper progress for many women. In Singapore, for example, multinational corporations that are headquartered in the West often struggle with developing local talent versus staffing Western expatriates in leadership roles. Although there are notable exceptions, too frequently local women fill support roles, while foreign men take core leadership positions. In Asian businesses, attitudes about women in leadership vary. In some contexts, women in leadership roles are judged harshly. In others, women thrive. Take, for example, Yajun Wu, the self-made billionaire chairwoman of Longfor Properties in China. Thus, it’s a mistake to generalise that the West supports women and Asia subjugates them; the story is much more complex than that. There are vast layers of diversity with respect to women’s leadership within Asia—and throughout the world. 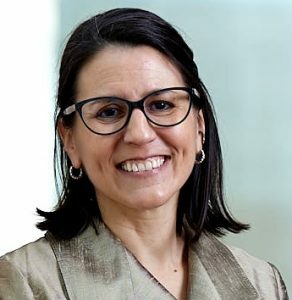 Zoe Kinias is an Associate Professor of Organisational Behaviour at INSEAD and the Academic Director of INSEAD’s Gender Initiative. She is also a member of the INSEAD Randomized Control Trials Lab. After ten years teaching MBAs, first at the Kellogg School of Management and then at INSEAD, Zoe now teaches primarily in executive programmes. Her teaching topics focus on leadership development, social issues at the intersection of business and society, and psychological research in applied/business contexts. Zoe’s work has been published in leading management and psychology journals, including the Journal of Applied Psychology, Organizational Behavior and Human Decision Processes, and Psychological Science. Her paper from this diversity and resiliency stream was awarded the Academy of Management’s Faculty Transnational Research Award (2015).